Mice & Mystics Are Here! Well, not here. But the games are finally hitting the doorsteps of people who preordered. That means the rest of us can order one now! 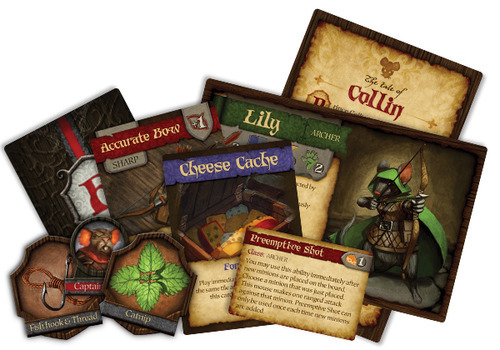 Mice & Mystics is a cooperative game from Plaid Hat Games—publishers of the card game Summoner Wars. You and your band of adventurers have been turned into mice, and you’ll have to fight your way through rats, spiders, and the housecat to warn the king about the evil going on in his castle. It sounds like players will be creating the story anew each time they play, so it won’t be the same game twice. I haven’t played it yet, but I’m hoping to soon. This looks like it could be an awesome twist on the cooperative genre. Plus, it reminds me of the amazing Mouse Guard comics. Until we get to play this one, you can check out the game details on Plaid Hat’s site. Thanks for reading! Looks pretty cool. I’m sure it also reminds the Mouse Guard publisher of Mouse Guard, if only superficially. The devil is in the details, I suppose, but it’ll be interesting to see if they raise a fuss. 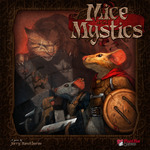 I played Mice & Mystics at the KCgame fair over the weekend. It was a lot of fun and should be a game the whole family will enjoy.